"In Uruguay, if you're a singer, it's like you are not working," says Martin. "You're just having fun, so you need to study something more serious than singing." 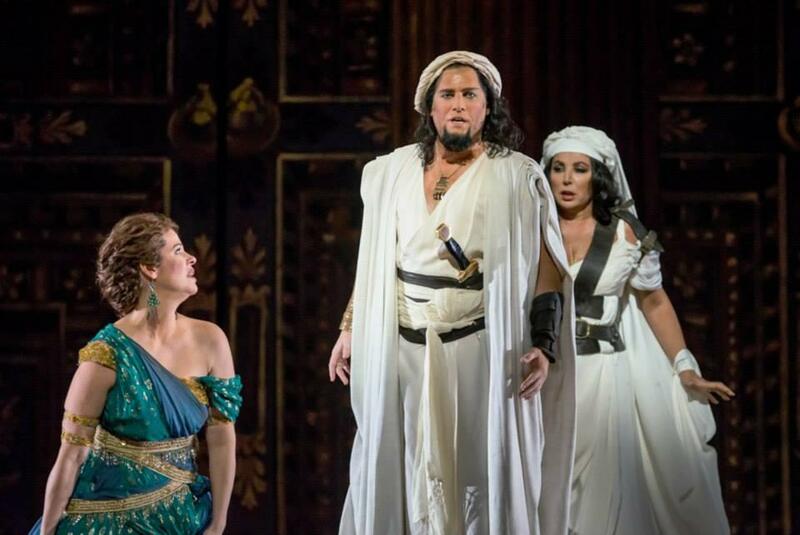 Here is Martin Nusspaumer as Ismaele in Nabucco for Florida Grand Opera in January. Credit Courtesy of Martin Nusspaumer. So for five years, Martin studied and worked as an electrical engineer, designing car alarms for Uruguay's automobile industry. Then he moved to Montevideo, the country's capital, for further schooling. Across the street from the engineering building was a music school. Martin felt an impulse and walked in to ask for voice lessons. Then he started simultaneously training as an engineer and as a tenor. "The whole day when I was working, I was listening to opera -- especially Pavarroti, and I was dreaming about it," says Martin. 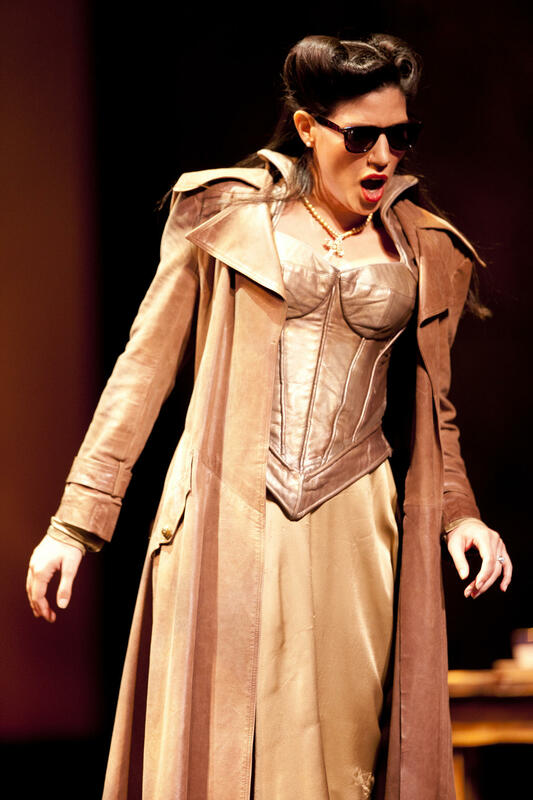 Here Maria Antunez is playing the character of Donna Elvira in Don Giovanni in 2012. Electrical engineering and opera training eventually became too much for him to handle. So Martin chose opera. Click here to see Martin perform live on stage. "It's not very normal that a person wants to become an opera singer anyway, but in Uruguay it's scary," says Maria. "They always ask you ,'Oh, and what else do you do?'" Maria started training as a soprano when she was just 8 years old, but science also came naturally to her, so she studied mechanical engineering. "And I loved it, but it took a lot of work," she says. "It didn't give me any time to my singing, which was not an option for me." The couple made a choice. They left Uruguay and engineering behind to follow their vocal their coach to Miami and pursue opera in America. "My mom didn't speak to me for, like, a month. It was pretty dramatic," says Maria. "But once I decided to quit with engineering, I had more time for the music and I got better and better." Maria’s mom came around. And now she and Martin make their living as full-time singers. Click here to listen to Maria perform. 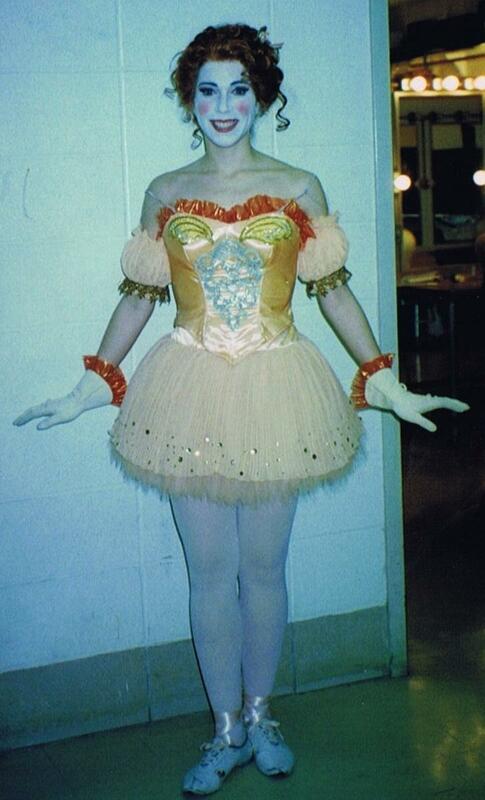 Susie Diaz played Esmeralda for "The Bartered Bride" opera in 1996. Susie Diaz is a light lyric soprano -- and a personal accountant in Miami. "The beauty of being an accountant is that I get to listen to music all day long while I'm working," says Susie. "It's a really nice compliment to use the other side of my brain." But balancing rehearsals and accounting can be stressful. When it's tax season, and she’s in an opera, her clients are always in the back of her mind. She does both, she says, because there’s a "shelf life" for opera singers. "Companies now would rather have the younger, fresher faces," says Susie. She says accounting will be there if her opera career doesn't go as she wants it to. Click here to view Susie perform live on stage. Anthony Zoeller is a baritone. He’s also the chorus director at Forest Glen Middle School in Coral Springs. "Right now I'm more of a teacher, but I guess I still identify as an opera singer," says Anthony. 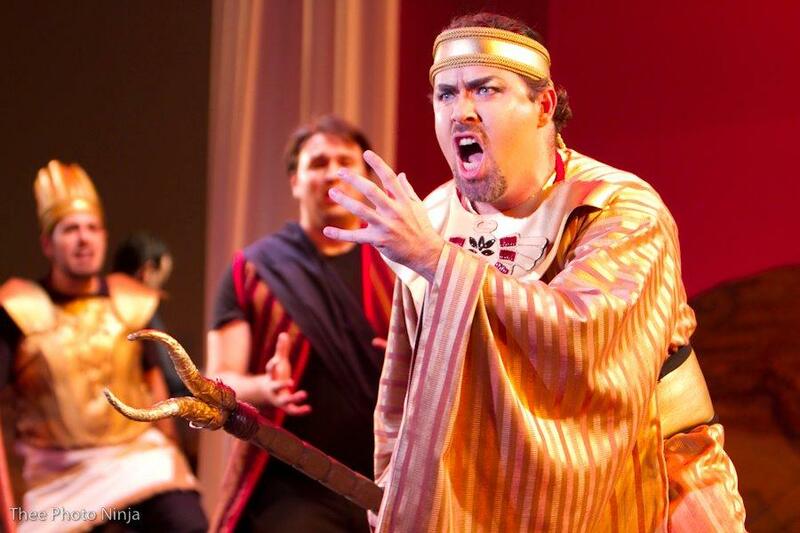 Anthony Zoeller portrays the High Priest of Dagon in the opera Samson et Dalila. He performed for St. Petersburg Opera in March of 2012. His day job gives him benefits opera can’t. "I don't think many people fully understand the freelance nature of being an opera singer," he says. "You don't get hired long-term by a company. You go from show to show." His time to sing on stage is limited to the summer, or whenever he isn't teaching. He can't be away from his students for too long. It’s not like he can go on tour. Now Anthony thinks of himself as a teacher who sings, rather than a singer who teaches. Click here to see Anthony Zoeller perform live on stage. Jorge Pita’s career went in the other direction -- sort of. He started singing opera as a kid at South Miami High. He was only 22 when he moved to Austria to sing for the Vienna State Opera. 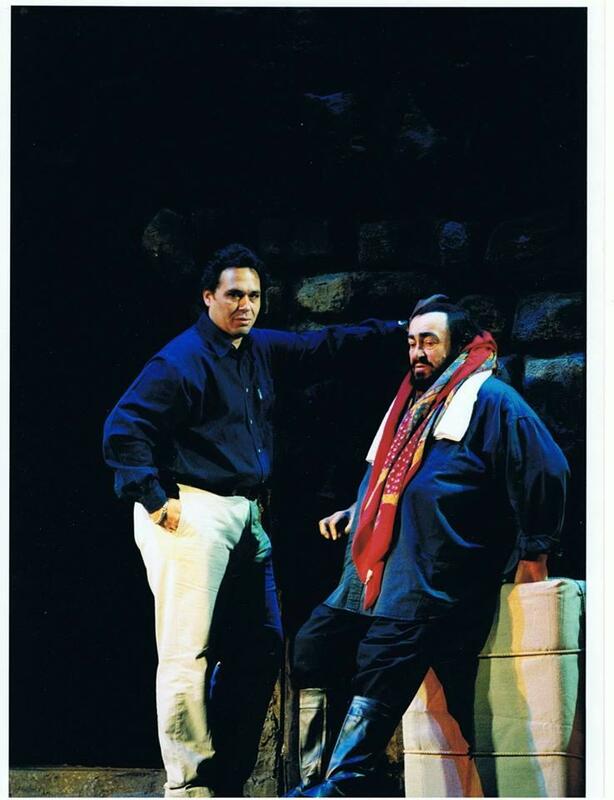 Tenor Jorge Antonio Pita in the role of Mario Cavaradossi, with Luciano Pavarotti during a rehearsal of Tosca at Covent Garden in January 2002. But then he came back and gave up singing to join the Miami-Dade Police Department. "I often wondered if people, as I was driving in my police car, thought I was crazy because they would see an officer driving by with his mouth wide open," he says. He’d sing the national anthem for police events, but that was it, until his wife convinced him to go back to singing. And when he did, he had a whole new perspective. "Being a police officer kind of gives you a front seat to life's events," he says. "That actually has helped in the depth of characters that I play within the opera world." Click here to listen to Jorge Pita perform.